Alan Villiers (1903-82), the Australian sailor and maritime historian, first made a name for himself as an adventurer in the 1920s and 1930s by combining his seafaring skills with his talent as a pioneering photojournalist. He visited Arabia in 1938 because he was certain that he was living through the last days of sail, and was determined to record as much of them as he was able. At Aden, Villiers found an Arab dhow master prepared to take on a lone Westerner as a crewman. Ali bin Nasr el-Nejdi and his Kuwaiti crew were making the age-old voyage from the Gulf to East Africa, coasting on the north-east monsoon winds, with a cargo of dates from Basra. The return voyage would be made in the early summer of 1939, on the first breezes of the south-west monsoon, from East Africa to Kuwait. 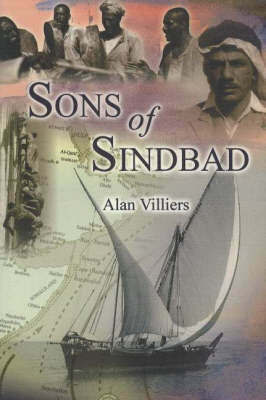 From this voyage, Villiers fashioned Sons of Sindbad . First published in 1940, it is the sole work of Arabian travel to have at its centre the seafaring Arabs. In a real sense the Thesiger of the Arabian Sea, Villiers voyaged with his companions as an equal, while deferring to their toughness and fortitude, and to their superior knowledge of their trade. This great classic of Arabian travel and maritime adventure is reprinted for the first time since 1969, with a new introduction by William Facey, Yacoub Al-Hijji and Grace Pundyk. As in the original 1940 edition, 50 of Villiers' many photographs are published here - images that complement the text with strikingly vivid depictions of the life and skills of the Arab dhow sailors, of the ports along the route, of Kuwait itself, and of the pearl divers of the Arabian Gulf.